Submarines work on principles of buoyancy. They don’t sink completely because there is still air trapped inside the submarine, allowing the pilots to direct it through the water without fear of being trapped there. While students may be interested in these principles, they are difficult to visualize. 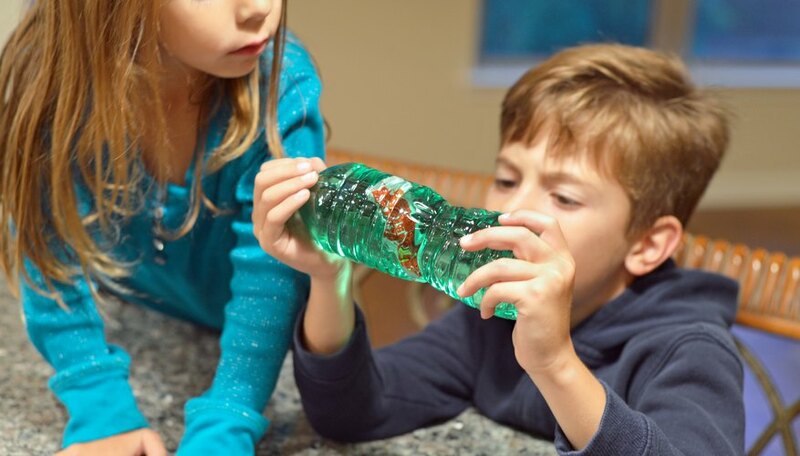 Making their own mini submarines is a lot of fun and will help students visualize how larger submarines work. Fill the plastic tub with water and toss a bunch of ketchup packets into it. Pick out the packets that neither float on the top nor sink to the bottom but remain suspended somewhere in between. Fill a tall, narrow water bottle about 3/4 of the way full with water. 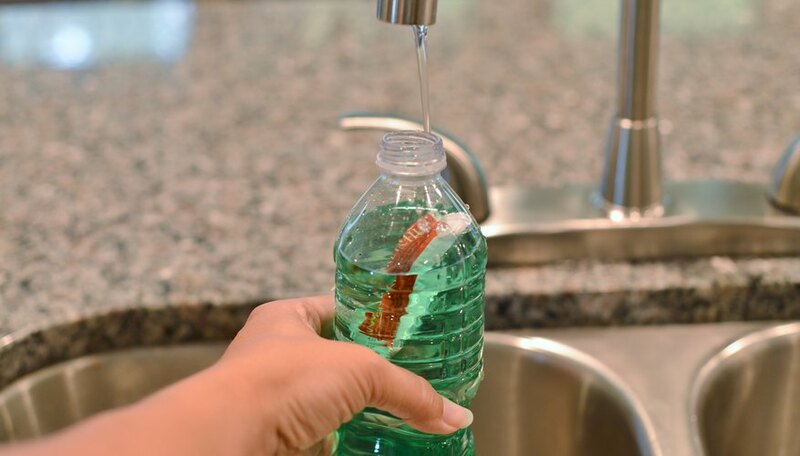 You may color the water with food coloring if you like; lighter colors like yellow, orange and green work best for visibility. Slip two or three ketchup packets into the bottle; be careful not to break them. 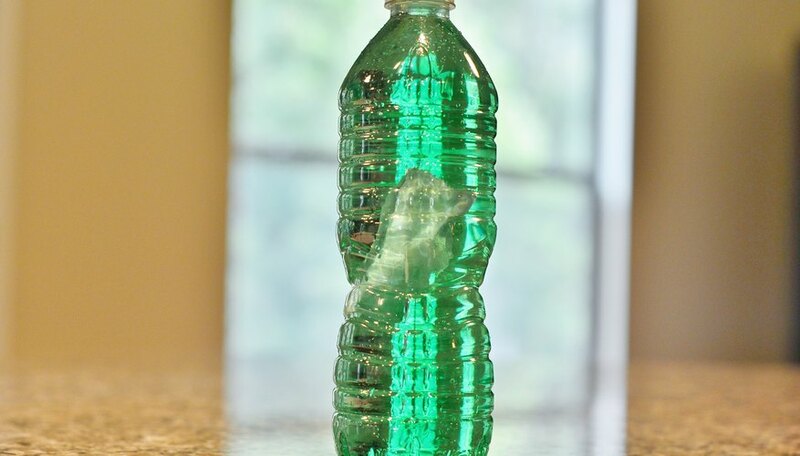 Fill the bottle up to the very top with water and screw on the cap as tightly as you can. If a little water squirts out, don’t worry; that just means the bottle was very full. 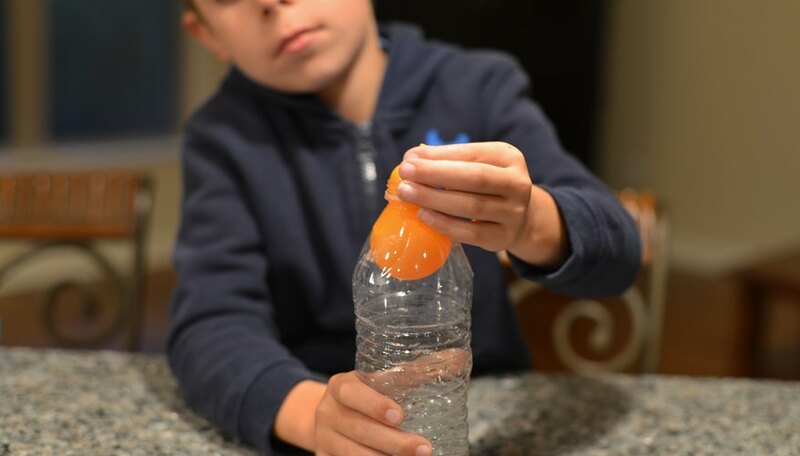 Squeeze the center of the bottle. The ketchup packets should move up and down inside the water, moved along by the current. Let them settle--they should sit in the center of the bottle. This is how real submarines operate; they are heavy enough to sink beneath the water but too light to sink to the ocean floor. 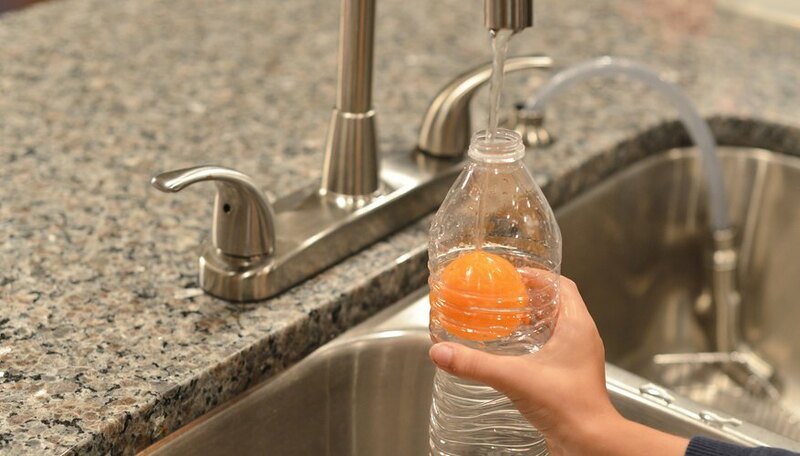 Slip a small, round balloon into a small, empty plastic bottle. A bottle holding about a pint should work well. Blow up the balloon as much as you can while the body is inside the bottle, and tie off the end. Fill the small bottle with water as much as you can. You may color the water if you like to personalize your submarine. Screw the cap onto the bottle tightly. Pour the clear pitcher full of water. Slip the bottle into the water and watch what it does. 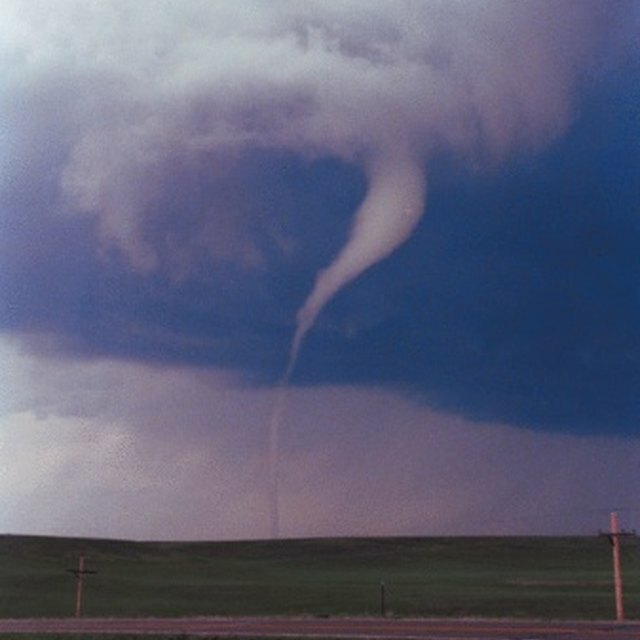 It should sink to the bottom, then float gently back up until it eventually settles near the middle of the pitcher. Shoop, Megan. 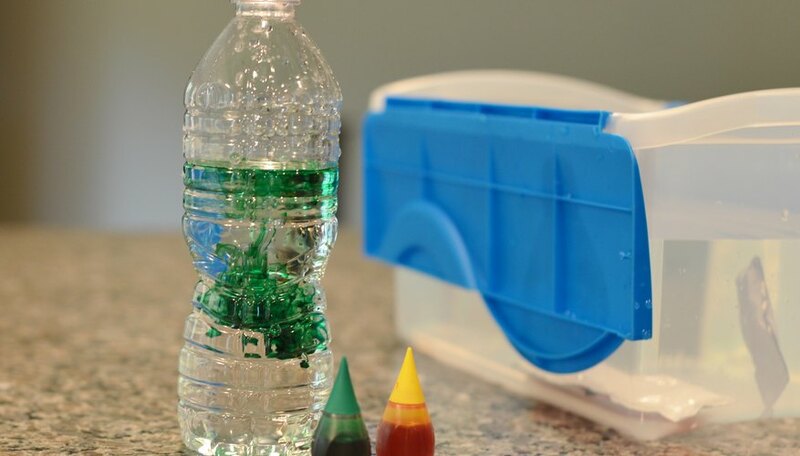 "How to Build a Submarine for a Kids Science Project." Sciencing, https://sciencing.com/build-submarine-kids-science-project-6502820.html. 25 April 2017.